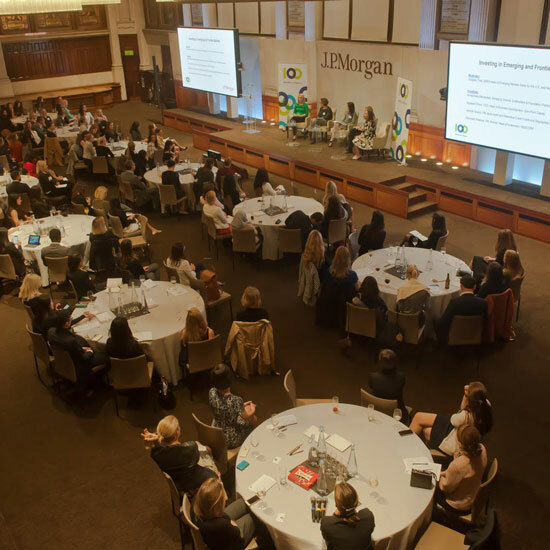 LONDON – 4 October, 2018 – 100 Women in Finance (100WF), a global non-profit organisation that supports more than 15,000 professionals in the finance and alternative investment industries, yesterday held its second European Investor Conference: Capitalising on Diversity and Returns, Investing with Female Managers,connecting top-tier institutional investors and consultants with women-led/women owned fund managers. During the first part of the conference qualifying participants comprising 21 female managers and 21 investors engaged in more than 100 short one-to-one meetings (in total). This was the tenth investor-female manager conference organized by 100WF, in an effort to highlight female talent in the industry through positive business connections with institutional investors. Previous events have been held in London, California and New York City. The conference concluded with a panel session on Investing in Emerging and Frontier Markets with Jennifer Bishop, PM, Multi-Asset and Alternative Credit Funds and Segregated Mandates, Willis Towers Watson; Annachiara Marcandalli, Managing Director, Endowment & Foundation Practice, Cambridge Associates, Parvoleta Shtereva, PM, Partner, Head of Investment, GEMCORP; and Hopewell Wood, CEO, Head of Business Development, Glen Point Capital. Gergana Thiel, EMEA Head of Emerging Markets Sales for the UK and Hedge Funds, J.P. Morgan, moderated the discussion. The panel session was attended by more than 120 members of 100WF and their guests, and was followed by a networking reception. The conference was sponsored by J.P. Morgan Prime Services. “This 100 Women in Finance conference raises awareness of the accomplishments of women in our field. By creating a platform for women at the top of the investment ladder, we move forward with our mission of inspiring young women to enter our industry and encourage all women, wherever they are on their career journey in the financial services sector, to progress and succeed. We also support our members with opportunities for them to be more visible to their colleagues, to investors, to current and future clients, and to the media, for example through our online directory of women who manage and own funds which was launched on our website in September 2018 as part of our Female Fund Manager Visibility Campaign,” said Amanda Pullinger, Chief Executive Officer of 100 Women in Finance. “100 Women in Finance’s achievements are made possible by our committees of dedicated volunteers and our industry sponsors. We are very grateful to J.P. Morgan for hosting this important event,” added Pullinger. 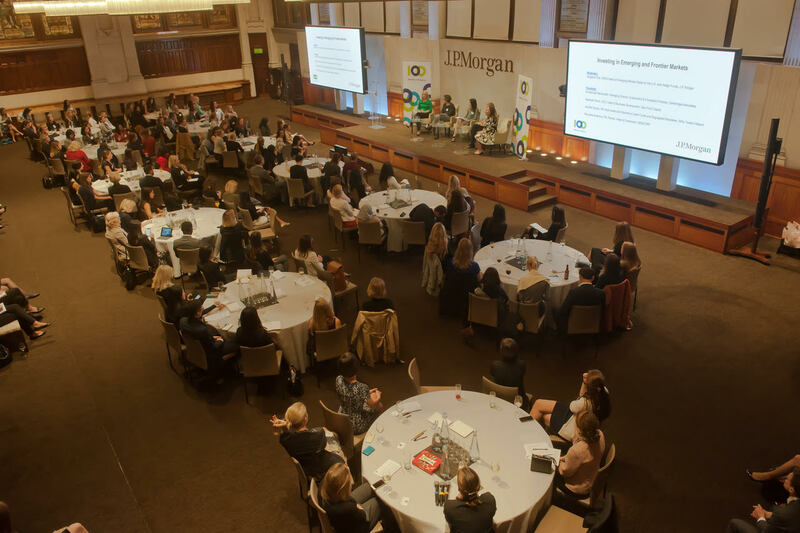 “A diverse mindset is at the core of our organization and we are committed to fostering the development of women across J.P. Morgan as well as within our client base and community,” said Stephane Marchand, Managing Director at J.P. Morgan. “The managers showcased at this event exemplify top-tier talent across the hedge fund, alternatives and traditional fund industry and we were delighted to host such meaningful discussion and engagement during the day at our London offices,” added Marchand. In addition to the investor-female manager conference, 100WF features female fund managers on its website, with bios and links to the websites of their respective funds. A compendium is planned for publication. 100WF is also partnering with media companies and conference providers to secure speaking opportunities for female managers upon request. J.P. Morgan Prime Services helps hedge funds, asset managers and institutional investors meet the demands of a rapidly evolving market. The business offers a full spectrum of integrated capabilities, combined with the strength and resources of a leading global bank. J.P. Morgan’s multi-asset platform extends across execution, financing, clearing, fund administration, and asset-servicing products, and provides optimal margin solutions to our clients. The firm provides local support to our clients’ global investing needs, with operations in over 30 countries and access to over 70 exchanges that clear through more than 40 clearing memberships. For more information, visit jpmorgan.com/country/GB/EN/solutions/cib/prime-services.